‘It ain’t over until the fat lady sings’. An interesting proverb. 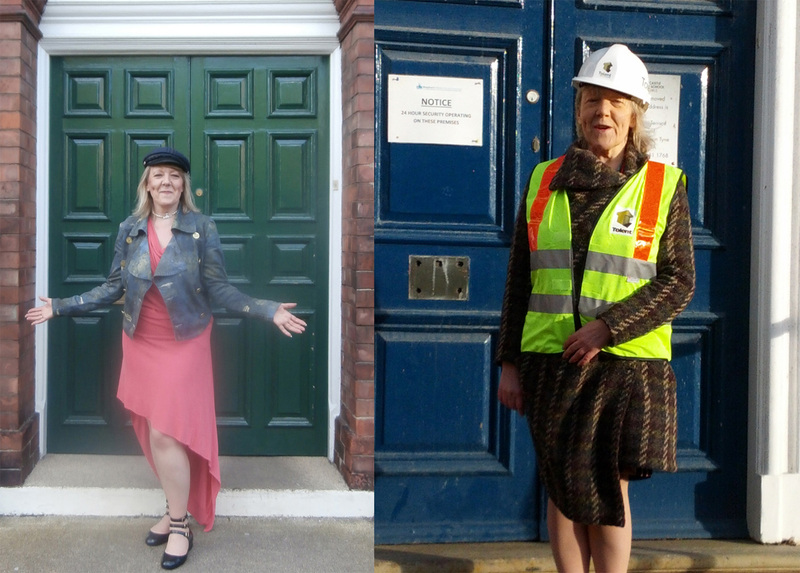 I mean, who’d have thought that four years further on, almost exactly to the day, I would be donning hard hat and reflective jacket yet again? Wikipedia defines this phrase as alluding to the fact one should not presume to know the outcome of an event which is still in progress. More specifically, when a situation is (or appears to be) nearing its conclusion, it cautions us against assuming the current state of an event is irreversible or that it is clear how or when an event will end. 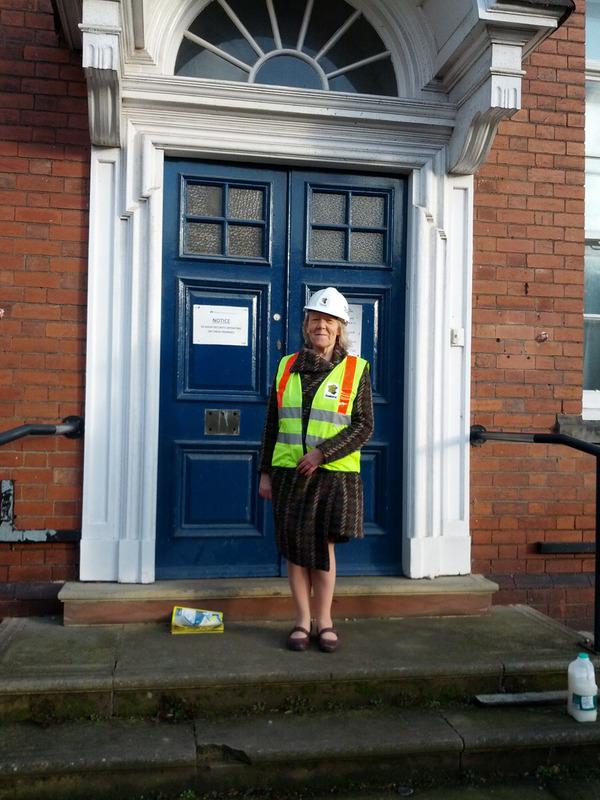 Me at the Tankerville Front Door prior to renovation in 2014 and the Eskdale Front Door in 2019 prior to demolition. Positive as I am, even I must admit that in September 2016 when we moved back into Tankerville, never mind way back in July 2014 when its doors were closed, I wouldn’t have believed you if you’d told me that the Central High building would be reduced to rubble within five years. But that will indeed be the case. And very soon. 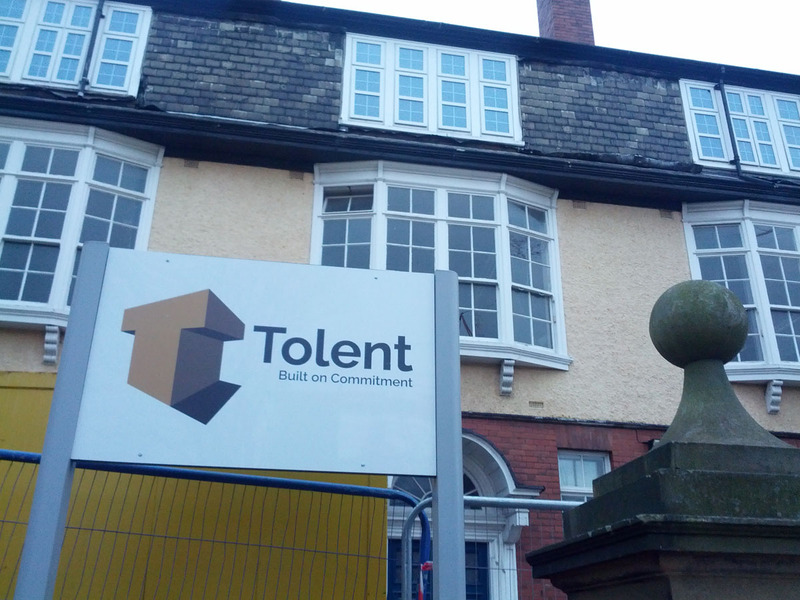 Tolent have now begun site enabling work in the Eskdale Terrace building prior to the demolition of old Central High. The Eskdale gates now look very, very different from the way they did when they were used to launch the NHSG brand back in 2013. The NHSG brand launch at Eskdale in 2013. Not only is the school no longer there, but neither Head Mistress is either. “Life is flux”, said the philosopher Heraclitus. “The way up and the way down are one and the same. Living and dead, waking and sleeping, young and old, are the same.” He meant that these things are the ‘same’ because they are all subject to change, arising from one change only to vanish into another. All things, constantly, are in flux. 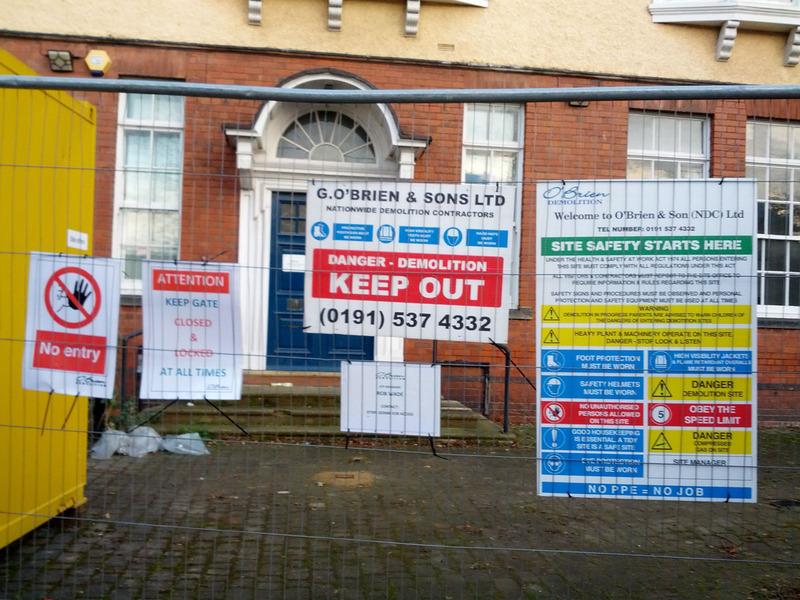 So should we be surprised that a school only built on Eskdale Terrace because the Tankerville building was ‘not for sale’, a hundred and thirty years later finds itself ‘on the way down’ again? Yes, the only constant in life is change. And things inside are certainly looking different now. The entrance to Eskdale Terrace was very changed since the last time I had walked through the front door in 2016. My guide was Tolent Construction’s Site Manager, Tony Davison, who I had met that day on my way to work, up a step ladder in the middle of taking down the Shepherd Offshore sign affixed to the NHSG sign poles. 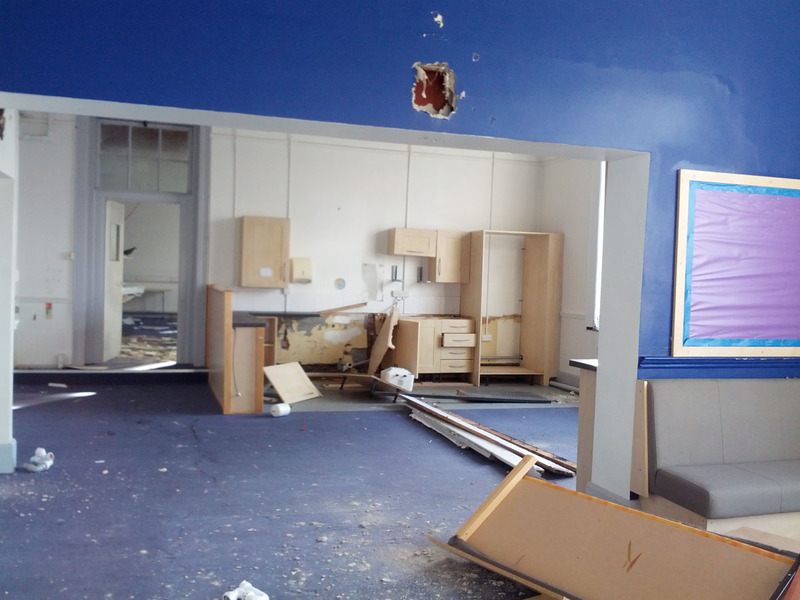 I’d started talking to him to ask about the demolition schedule, aware NHSG were hoping to reclaim the building’s foundation stone and perhaps a bit of the Sixth Form Library too. It turned out the time-scale was tight. Tony told me the window for having a last look inside the building was only a couple of days. At that point, I had no intention – and no wish – to go back into Eskdale myself, but, having passed on the information at NHSG, I found myself free just before lunch and phoning the number on the business card Tony had just given me. The quickest way forward is always to do it oneself. And I was feeling the ‘pull’ of the blog once more. So that’s how I came to be in a hard hat again, one last time. 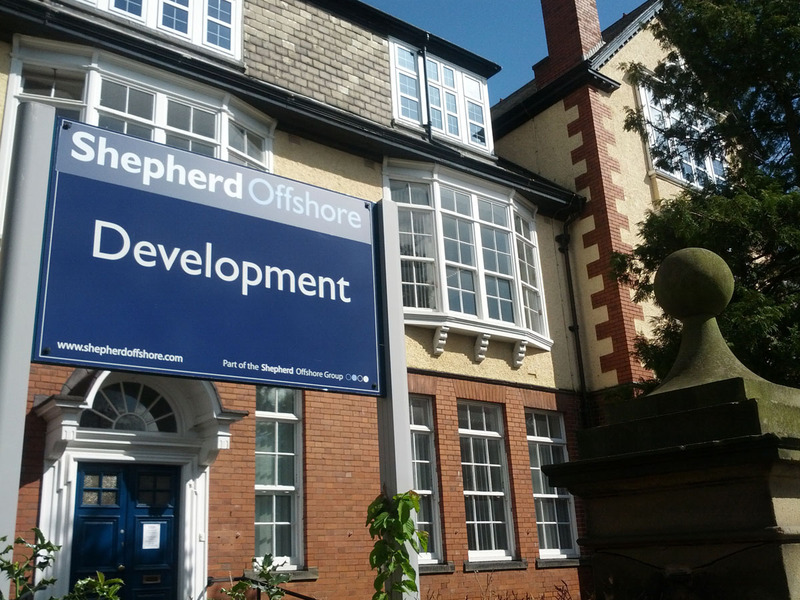 Sign of the Times: proof that ‘the times … are a changing’: down comes the Shepherd Offshore sign, up goes Tolent’s. Not all empty buildings feel the same, of course, and it won’t come as a surprise to hear that my mood on January 25th 2019 was very different to when I saw the state of the Tankerville interiors when I finally got back inside. Although it was a shock to see Church High stripped back to the brickwork, it was also fascinating to see bits of the Victorian structure re-emerging. 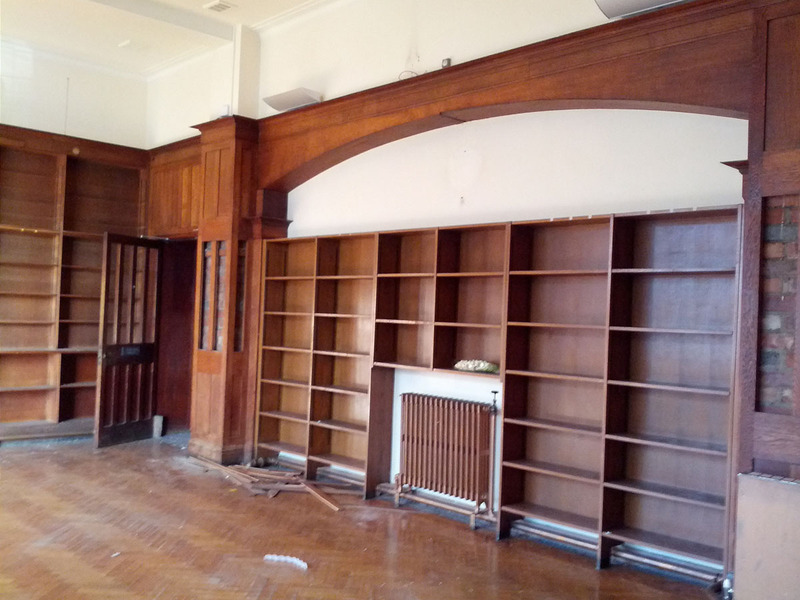 With Tolent only just taking possession of Eskdale, inside should have looked largely the same – minus furniture. But Tankerville hadn’t stood empty without site checks for 2 and a half years. In the interim, Eskdale had had visitors. 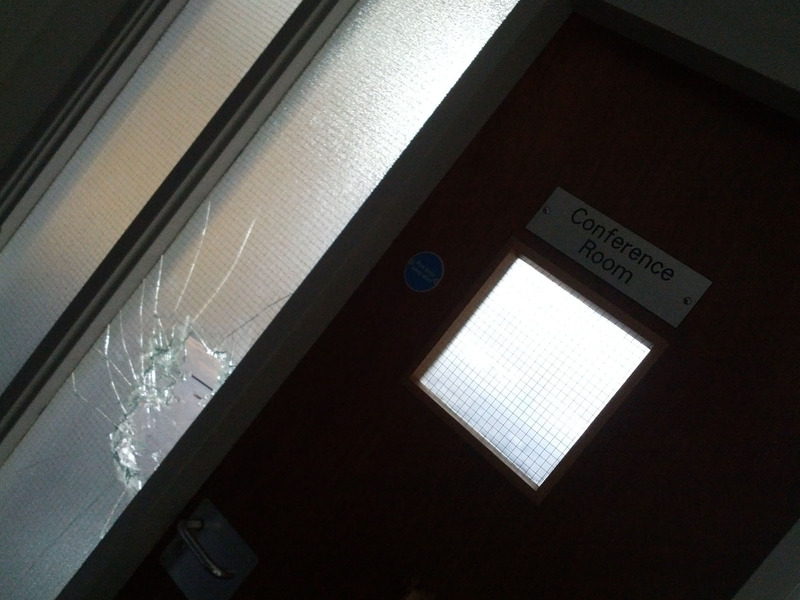 Vandals had been at work in the Eskdale Conference Room. Tolent’s strip-out work would clearly not be taking as long as planned. As I could see all around me, Tony told me the building had been infiltrated for months by scavengers looking for scrap metal. 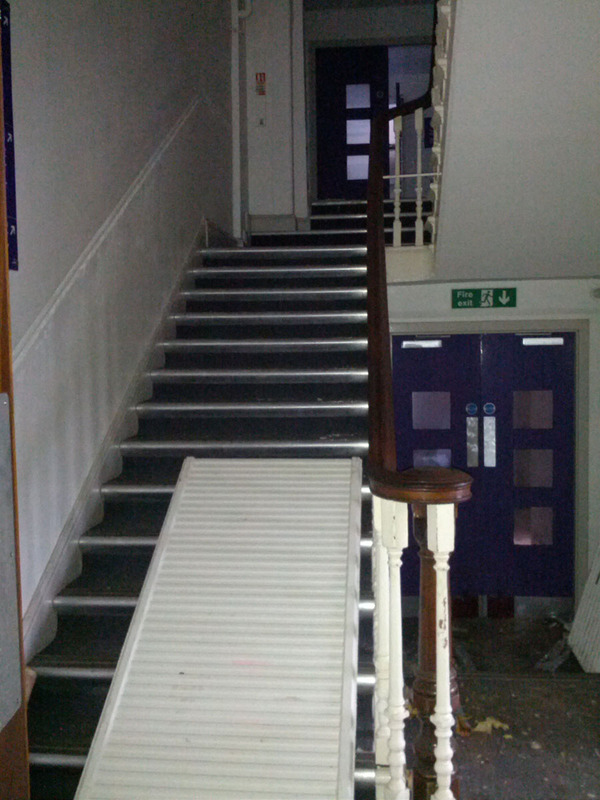 In some places, such as the flight of stairs I had to use every day while working there to get to the Head of Year Office, metal items such as radiators had been left lying ready to take away next time. A radiator on the stairs where it had been left ready for removal out of the back door. You may know that these days all the wiring is installed in the ceilings in modern builds. 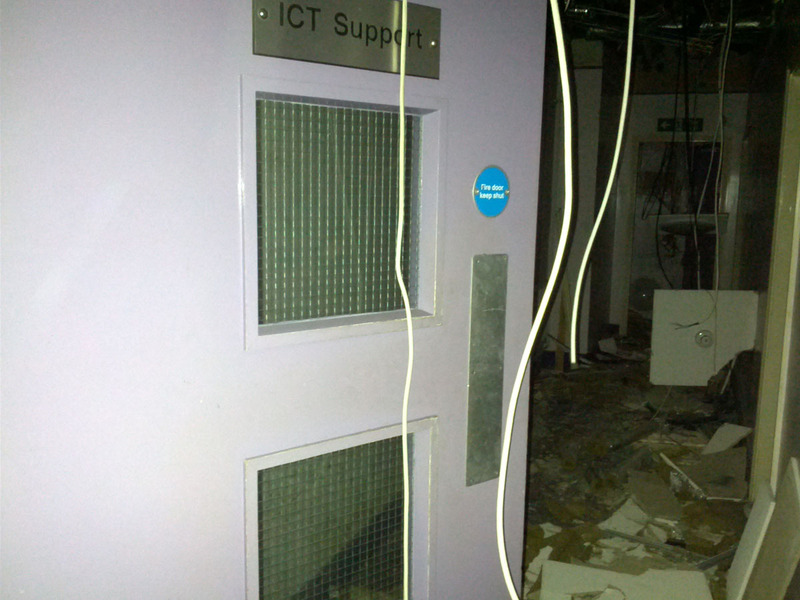 But, in Eskdale, all the valuable cabling was long gone and the cheaper CAT5 cables littered the floors. In places, it brought to mind wading through a mass of blue spaghetti. 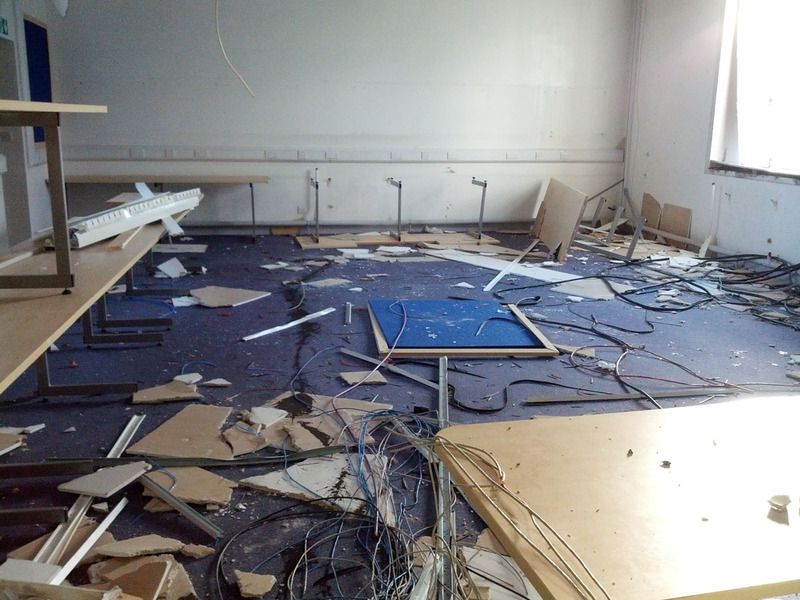 Topsy-turvy World: the ceiling is on the floor in front of the Library (above) and in the ICT Support corridor (below). The proliferation of purple still had the power to oppress me, despite time passing, but we soon reached the 6th Form Library. Now, as when I worked there, the dark wood of this room felt like an oasis of calm as we opened the door. Amazingly, it was still virtually intact. Modern day thieves aren’t interested in old wood, it seems. Still largely intact: the large bow window of the Sixth Form Library, beyond which the new RGS Library is taking shape. The Sixth Form Library, like its namesake at Church High, has moved position over time, I believe. 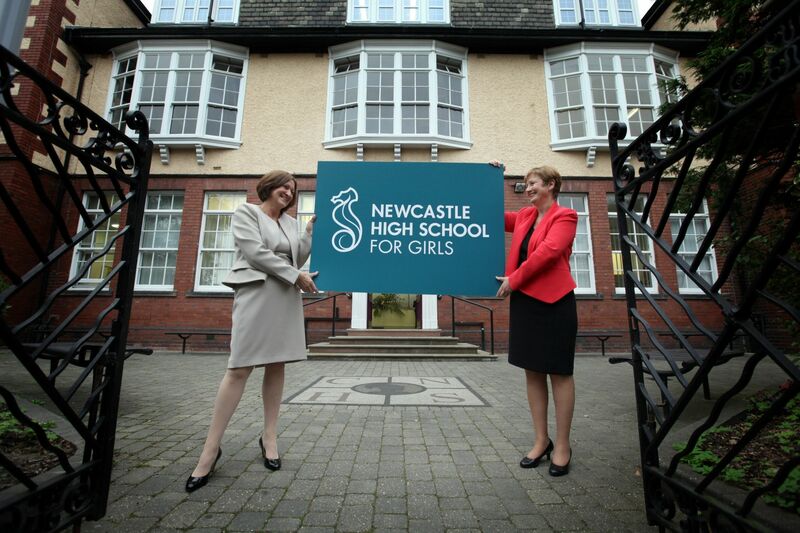 But, when it hosted the NHSG Brand Launch, it exuded a veneer of historical and cultural permanence. 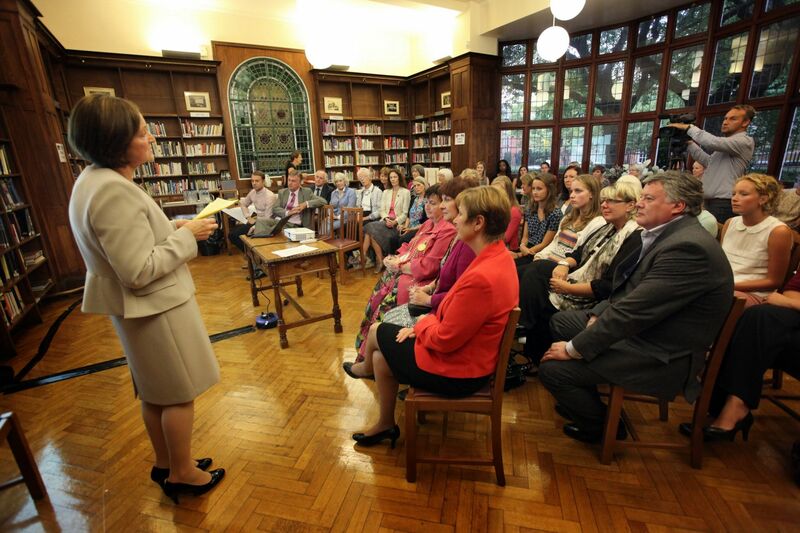 NHSG’s launch in 2013 was held in the Sixth Form Library. 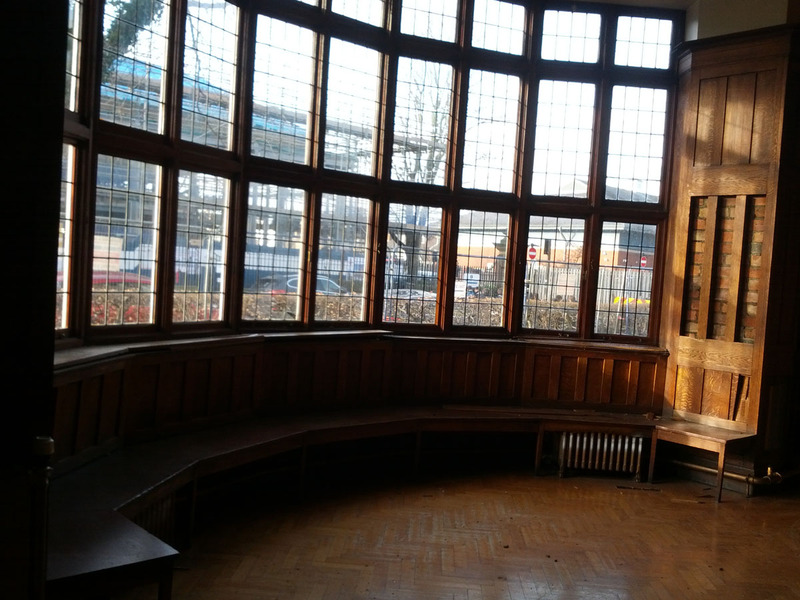 However, devoid of its books and the re-located Central High stained glass window, the old Library’s dark woodwork was neither as ornate nor as substantial as I’d thought. As I looked around, there was a sense of ‘smoke and mirrors’ evident now, which shocked me. 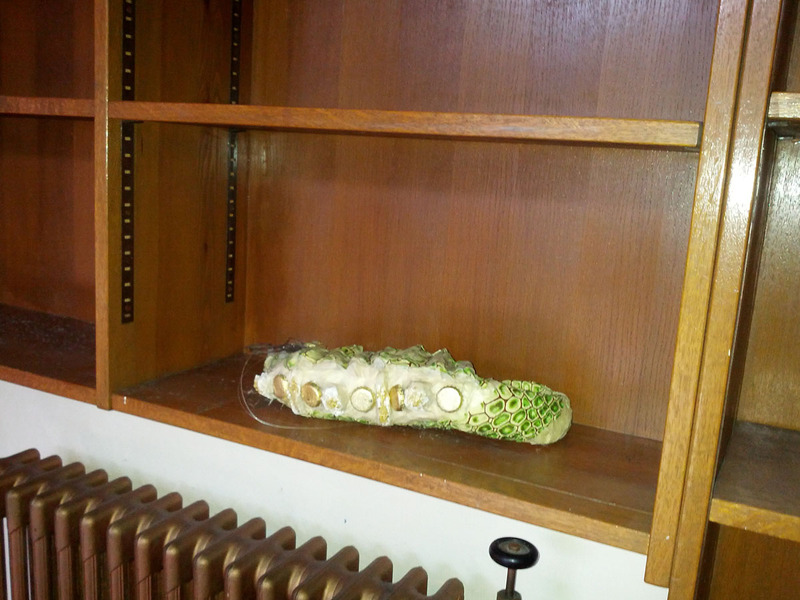 Behind the Library’s wood veneer lay a very ordinary room (above) with odd objects scattered about in recesses (below). 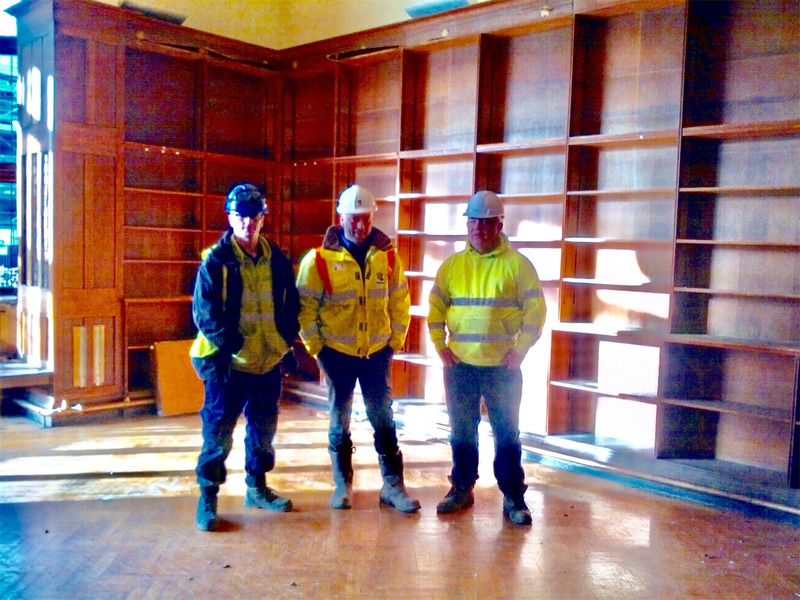 Between us – myself, Tony and two other members of the Tolent team who’d joined us in the room – we selected a piece of panelling by the window for preservation. As we stood in the centre of the room talking, Tony nodded towards the green ‘pod’ thing in a recess with a quizzical look and told me they’d been finding them all over the building. It brought home to me just how much ‘meaning’ relies on context. One person’s seahorse is someone else’s oddity. Tolent’s Site Manager, Tony Davidson (centre) having just made his personal contribution to the Tankerville Story. 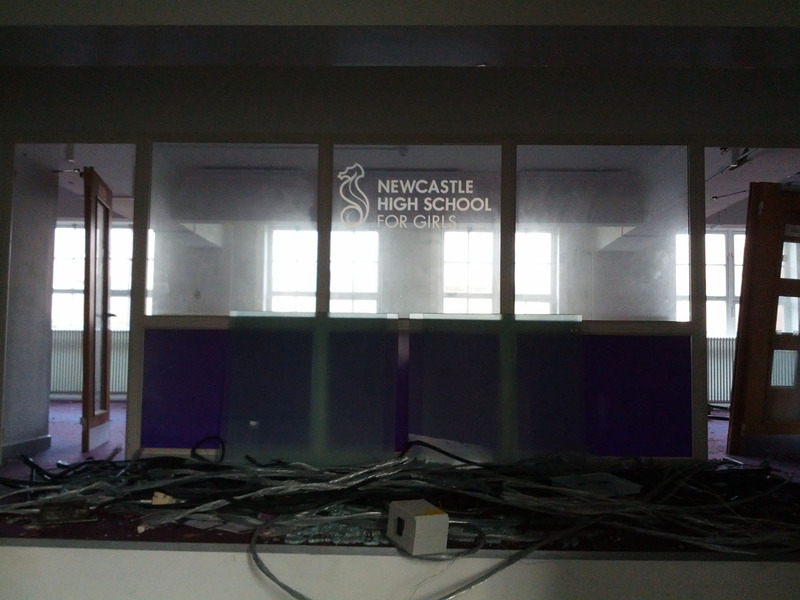 One day, artefacts from Church High and Central will be put on display somehow in the Newcastle High building. Before I left the building, Tony kindly allowed me time to explore a little further with my camera. We didn’t go far. I just wanted to venture upstairs a little way. To the Main Corridor and Staffroom. The first floor corridors at Tankerville and Eskdale are very similar in design, with both adding atmosphere to their respective schools. 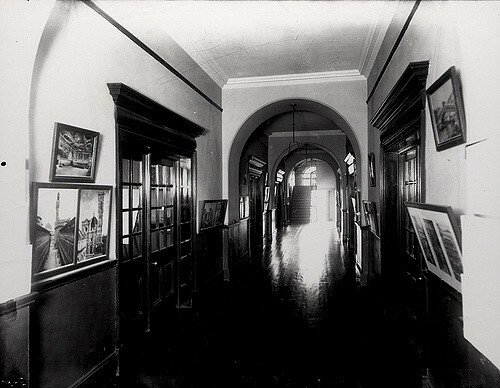 In its time, the Eskdale Main Corridor was darkly imposing, but if I hadn’t seen an old photograph I would never had thought that now. 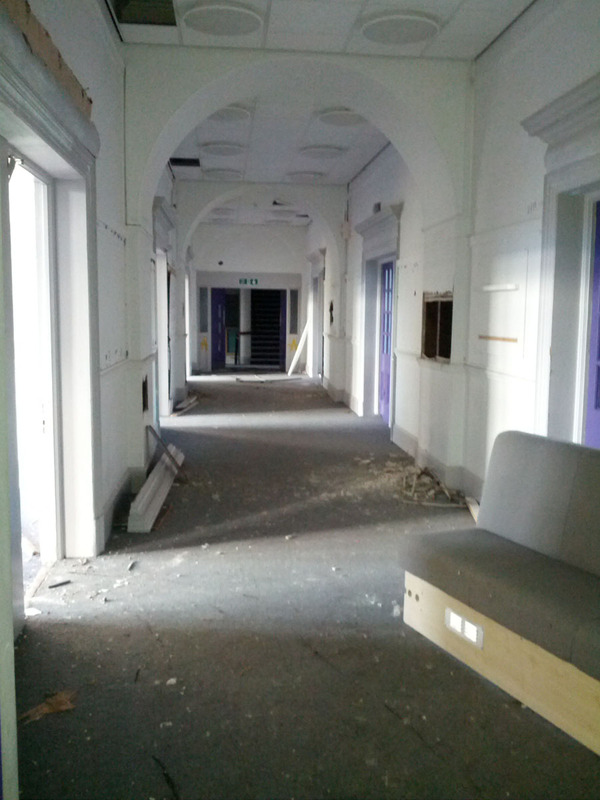 Eskdale’s Main Corridor in its prime (above) and how it looked on January 25th (below), a shadow of its former self. The sole inhabitant of the Staffroom now was an agitated pigeon, which found refuge in the Workroom when we came on the scene. 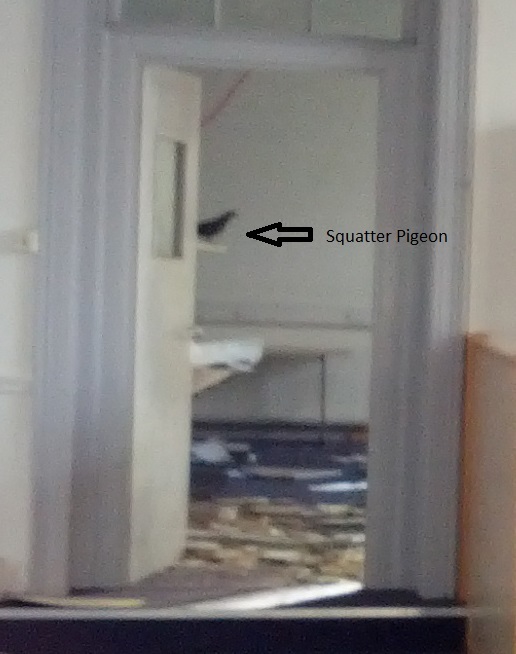 Eskdale’s Staffroom: now home to a Squatter Pigeon (below). The Staff Workroom had been well-and-truly plundered for cabling. Tony told me that, as well as cabling, lead had been stripped from the roof. This was evident at the top of the building, where a pungent smell indicated water had got in. I’d intended to take a last look at the Head of Year Office. But as we stood on that corridor – where the stuffing seemed to have been ripped out of the walls – I knew I didn’t need to go further. Time had moved on and so had I. A Face-Off with my old Head of Year Office. As I handed my hard hat back to Tony in his yellow cabin, my mind inevitably wandered back in time to Peter and his cabin at the start of this ‘Tale of Two Schools’. 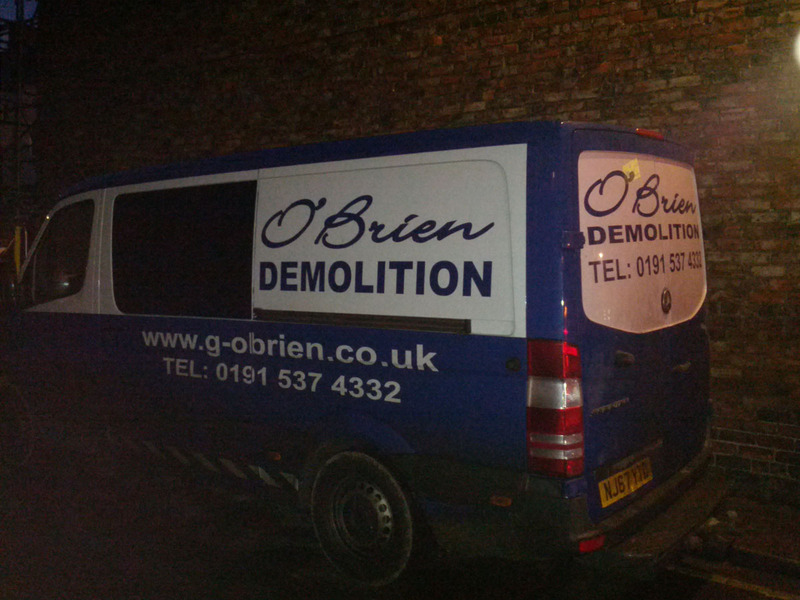 I paused for thought a second time as I walked through the Eskdale gate for the very last time, my eye clocking the O’Briens van pulled up in the back lane to my left. 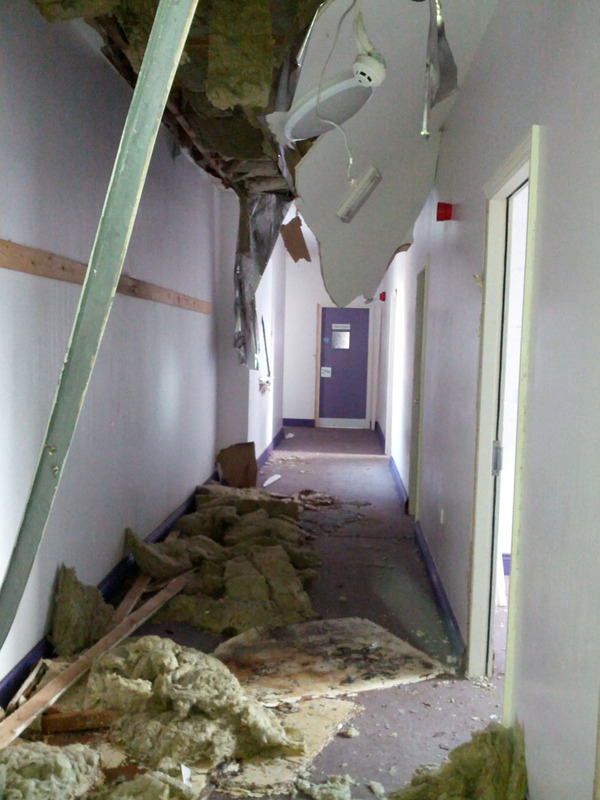 I was still standing – and smiling – but Eskdale’s future was not so bright. No Future: the fate of Eskdale is emblazoned on the van. And did my Eskdale ‘Unfinished Business’ have the ultimate effect of laying some of my old ghosts to rest? Yes, in the end, I think it did.